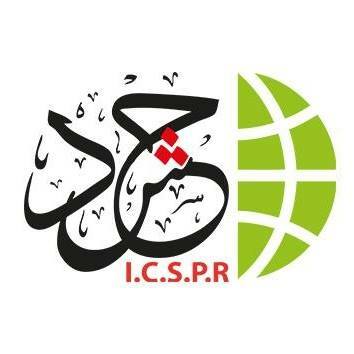 The International Commission to Support Palestinians’ Rights (ICSPR) highly appreciates your continued commitment to human and humanitarian intervention. We are addressing you for the second time this year to invite you to exert more efforts to stop the deterioration of the humanitarian situation in Gaza Strip which currently living in catastrophic conditions. Your immediate and urgent contribution to put an end to the humanitarian catastrophe that is sweeping the Gazan population into a catastrophic fate is a legal and moral duty dictated by your legal mandates, your contributions and your lofty objectives that you are entrusted to achieve, which shouldn’t be sacrificed under any circumstances, Human beings in Gaza Strip live in conditions that lack the most basic requirements for decent living and human dignity, especially in light of the sharp deterioration in the human rights situation, the persistence of humanitarian crises, the lack of access to health and humanitarian services, safe water and human use. 2 million people are living in Gaza Strip in extremely difficult circumstances, which lead them to lose hope in the future, this creates a very fertile environment for extremism. The unprecedented deterioration of the humanitarian situation is due to the combination of a number of factors, including the ongoing Israeli siege measures for the eleventh year in a row, the continuation of punitive measures carried out by the Palestinian government, and the refusal to respond to the repeated calls to stop these punitive actions, which in short means the government’s abdication of its social, economic and political responsibilities towards the Palestinian people, unfortunately, the continued silence of the international community and the weakness of its reactions towards addressing the humanitarian crisis in Gaza Strip, which is currently in a state of a slow planned death. The Palestinian government (the Government of National Accord) has initiated new measures such as re-levying the value-added tax, imposing strict conditions and controls on remittances entering Gaza, including the ones from the Western financiers community to NGOs, as well as the recent PA measures (since May 2017), including the termination of service for Gaza employees, the deduction of salaries and compulsory pensions, the imposition of a fuel tax that operates the only power plant. These measures, and the severe restrictions imposed by the Israeli occupation forces, have exacerbated the conditions for humanity in Gaza Strip, where 80% of the population of Gaza live in extreme poverty, and unemployment rates exceeded 65%, among citizens, all of which led to a terrible economic recession amid the decline in the purchasing power of citizens, noting that these rates are the worst since 2002, according to official statistical data, as evidenced by the decline in import rates for goods to about 320 trucks a day out of nearly 1000 trucks a day. The population of Gaza Strip is currently living in a very desperate situation, where more than 72% of the families are unable to provide their children with health food because of the extreme poverty and lack of purchasing power of these families, which will lead to a more miserable and hopeless reality. The US decision to reduce its financial aid to UNRWA has worsened the crisis, the United States reduced its aid to the UNRWA treasury to less than half in 2018, affecting the functioning of UNRWA’s services for the poorest refugees in all areas of UNRWA operations (Jordan, Lebanon, Syria, the West Bank and Gaza Strip). Gaza Strip is the most affected by this decision, which is evidenced by the increase in the number of beneficiaries of UNRWA’s food relief services in Gaza, from 100,000 beneficiaries to 1.3 million beneficiaries over the last 10 years as a result of the deterioration of the economic and living conditions, the high rates of poverty and unemployment, which will lead Gaza Strip to explode at any time, according to statements “Matthias Shamali,” director of UNRWA’s operations in Gaza Strip. Gaza Strip continues to wither away under the siege and its inhuman consequences, from restrictions on freedom of movement and goods, deteriorating humanitarian conditions, high rates of poverty and unemployment, and deteriorating health, housing and education. The multiple crises caused by the ongoing Israeli siege and the repeated Israeli aggression three times in a short period led to increase in the poverty rate in Gaza Strip to 65%, unemployment to 65%, and 63.8% among youth, about 72% of the families of Gaza Strip are food insecure, 4,600 families in Gaza Strip are still homeless, and 5,000 families live in tents or plastic houses, the percentage of safe drinking water is 5%, while the hours of daily electricity cuts are more than 16 hours a day, the health sector suffers from a shortage of medicines and medical consumables with a deficit of 30% per month. As unfortunately 2017 brought an additional suffering to the population of Gaza Strip, as a result of the collective punishment imposed by the presidency and the Palestinian government, which continues until this moment, this compounded the number of human suffering in Gaza Strip and affected the whole life system, especially the health, education, electricity, water, economic, trade, banking and other vital sectors, these collective punishments were accompanied by the continued implementation of repressive measures affecting the enjoyment of rights by the Palestinian people, especially journalists, writers and opinion makers who were persecuted and arrested. All restrictions on public rights and freedoms in the West Bank constitute violations under the Palestinian Basic Law and international covenants, in a situation that reflects the continuing encroachment of the Palestinian executive authority and its violation of all laws that have set its scope of powers. The truth is that the successive Palestinian presidential decisions – despite the fact that there is a consensus oriented among the Palestinian opponents – can’t be found to be legal or even moral. In short, they mean compromising Palestinian human rights in Gaza Strip, especially their economic and social rights, which may lead the situation in Gaza Strip to explode, and would cause great harm to the security and safety of the Palestinian person, the circumstances and developments of that scenario may lead to increase the height of extremism in all its forms. Finally, the International Commission appeals to you to seize the last chance before humanity, to triumph for humanity in Palestine and Gaza Strip. We call upon you to immediately intervene to end the suffocating siege imposed by the Israeli occupation for the eleventh year in a row, and to ensure that the occupation state complies with the obligations contained in international humanitarian law, in particular the provisions of the Fourth Geneva Convention, and to ensure freedom of travel and movement for the Palestinian people between the West Bank and Gaza Strip, and secure the freedom of movement of individuals and goods with Egypt. The Commission also calls upon you to exert pressure on the President of the national authority to stop the collective punishment imposed on Gaza Strip and to put the rights and freedoms of citizens and employees away from disputes and political intrigues. We hope that you will act now in order to save Gaza before it is too late. Pressure creates explosion. The citizens of Gaza Strip deserve to work with them and for them, they all are looking for an international role that guarantees them and their children their right to human dignity as a non-negotiable right. Therefore, we hope that you will adopt this appeal, and carry out all the solidarity measures to ensure that the demands and rights of Gaza Strip residents are met.